In the week since Shane Sauer, 26, of Belfast was shot and killed in Swanville, hundreds of people have come to the car wash where he used to work to remember him. That outpouring of grief hasn’t surprised Trevor Hamel, the owner of Wicked Clean Car Wash & Detail Center in Belfast, who described Sauer as a kind, easygoing person whom customers loved. 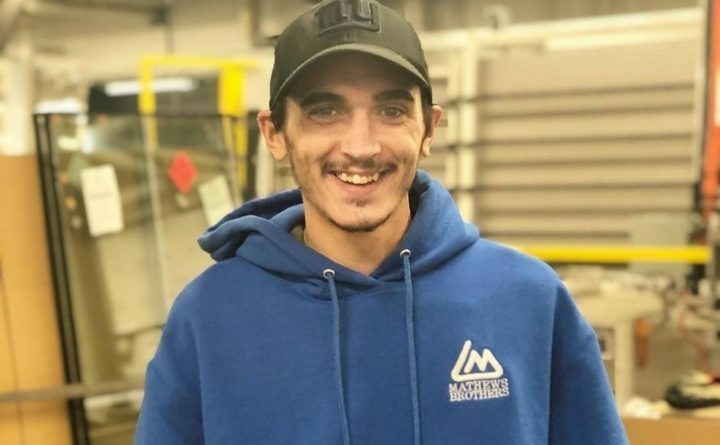 Sauer worked at the car wash until about six months ago, and he most recently was employed as a glass cutter at Mathews Brothers window manufacturing company in Belfast. Sauer’s death, he said, has been shocking and hard to comprehend. According to the affidavit released by state police earlier this week, Sauer was allegedly shot to death the morning of Friday, March 15 — allegedly in a dispute over a shared love interest — by Austin McDevitt, 22, of Morrill. McDevitt, who has been charged with murder, allegedly shot Sauer seven times after Sauer jumped him in a camper where McDevitt and the woman they were allegedly fighting over were sleeping. The autopsy confirmed that Sauer had been shot seven times, including three shots to the head. At Mathews Brothers, Sauer’s death has hit hard, according to his supervisor in the glass-cutting department, Chris Check. He described an enthusiastic, diligent worker with a big heart and a skill with glass. His supervisor said that he disliked reading some of the headlines after the murder that described a love triangle among Sauer, McDevitt and the woman. Those words were echoed by Zach Parker, who graduated from Searsport District High School with Sauer in 2011. Although many classmates had left the area after graduation, they would visit Sauer when they came back. When they heard the news that he had been fatally shot, his high school friends were in disbelief. Parker said that he and his classmates wanted to do something to show how much they cared about their friend and decided to set up a GoFundMe account, with all funds raised to be given to Sauer’s family. “We want to show our love to his family, by giving back to somebody who always was there for us,” Parker said. In an obituary published in the Bangor Daily News, Sauer’s family described him as “the kind of person everyone wanted to be friends with” and a passionate, caring and generous man who loved to fish, hike and camp with his buddies. “He was that person that would give a complete stranger his last dollars if need be,” the obituary stated.